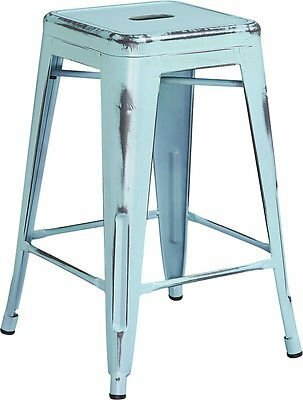 24'' Industrial Antique Dream Blue Restuarant Metal Stool For Indoor-Outdoor by Unbranded at Frederick Douglas SMHA. MPN: ET-BT3503-24-DB-GG. Hurry! Limited time offer. Offer valid only while supplies last.